Once again the Novice Rig Roundup (NRR) has come and gone ... and once again, it was the most enjoyable 'contest' of the year for me. 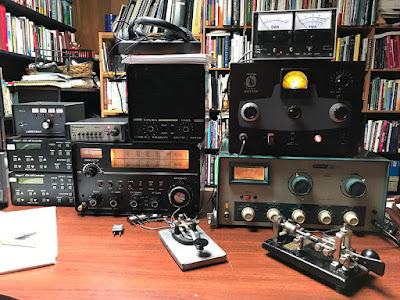 What I have come to enjoy most about the NRR is that most participants do not really treat it as a contest but more as an opportunity to spend some relaxing CW time enjoying some of their favorite vintage rigs ... spread out over nine days of activity. Since there was never a Novice-class program in Canada, I was never a Novice, but the NRR brings back all of the good memories experienced as a newly-licenced radio-crazed 15 year old operator! Back in those times, there was a gratifying sense of achievement with every contact. My clap-trap collection of parts and tin gutter-pipe verticals, mounted atop our old four-story city house, magically sent my tiny signal from coast to coast and over the pole. Those were the dying days of big-daddy Cycle 19, and my station was proof that just a tiny bit of RF was all that was needed under such amazing solar conditions. 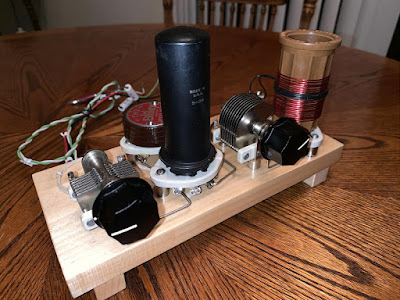 This year's NRR began by making a couple of contacts with my Drake 2NT and VF-1 VFO but my newly-finished 1936-style Jones Push Pull Oscillator was begging to be put to the test. 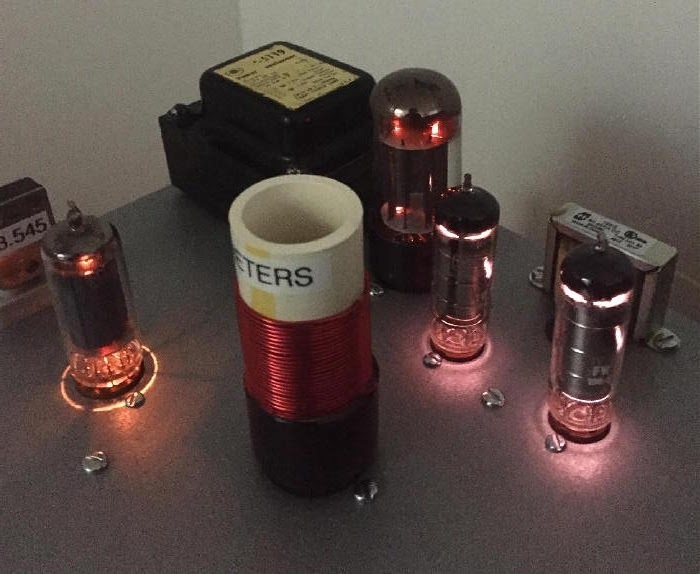 This meant that the remainder of the week would be spent using crystal-control and in all likelihood, sending a hundred or more 'CQ NRR's, hopefully attracting some of the crowd. Due to previous commitments, I missed a few nights of operating but ended up with 53 NRR contacts in 23 different states or provinces. 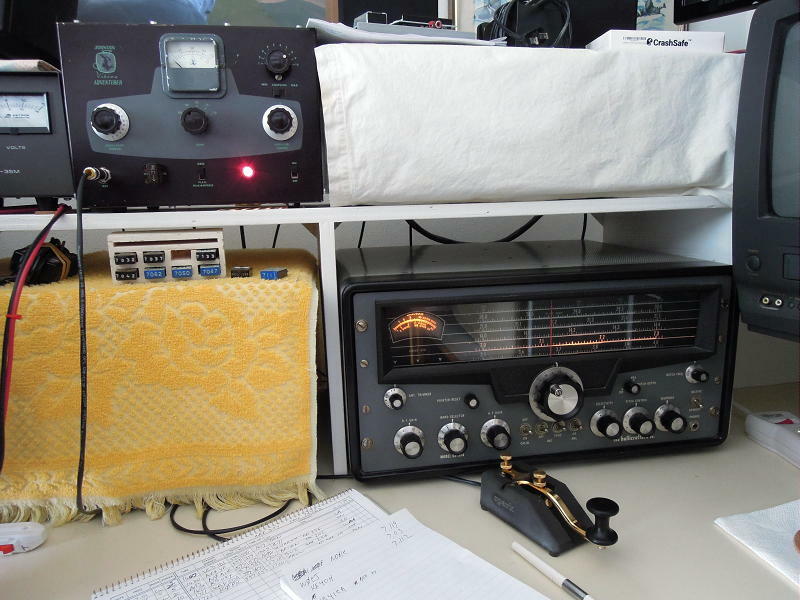 Operating on 40m in the late afternoon and then for a short period on 80m after dinner, proved to be the best use of my time, as usually, much of the eastern activity had closed shop for the night, just as the band was getting good. 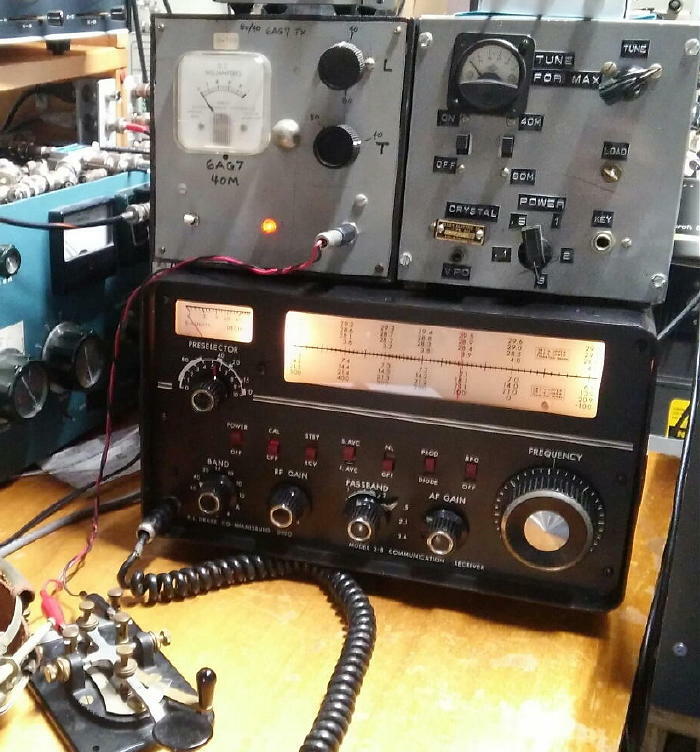 There were two nights of superb 80m propagation but with very little NRR activity ... unfortunately for many participants, late-night operating (even with wonderful propagation) is not in the cards for those that must rise early for work the next morning! There were several highlights for me once again and being able to create them while using my new homebrew rig was very gratifying. Roger, VA1RST, back in Halifax, Nova Scotia, was one east-coaster that seemingly cherished the midnight-oil! His great Drake 2B ears were able to copy the little 'Jones' on 80m with no problem and his participation added an exotic DX-flavor to the NRR. 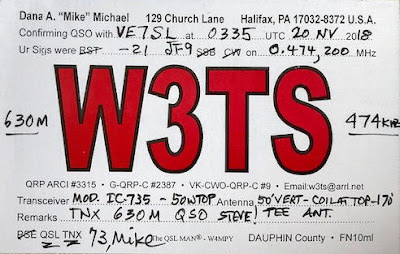 Michael, W3TS, managed to squeeze enough RF from his one-tube 6AG7 crystal oscillator to be heard and worked here on both 40 and 80m, with a respectable 559 on 40 and 569 on 80! It wasn't until after the NRR was over that I realized why Mike's call was familiar as we had worked a couple of times already this winter on the 630m band (475kHz) ...doh! More transcon magic was made when Tom, K3AJ, finessed a few watts from his single 6CL6 crystal-controlled DX-machine to the west coast on both 80 and 40m. The propagation gods must have been paying close attention as his 40m signal was a solid 579 while his late-night 80m signal was a whopping 589 here ... 80m propagation just like the good old days! Not to be outdone by Tom, ex-Nebraskan Andy, KØSM in New York, kept his vintage '42' clipped together long enough to be worked back here as well. 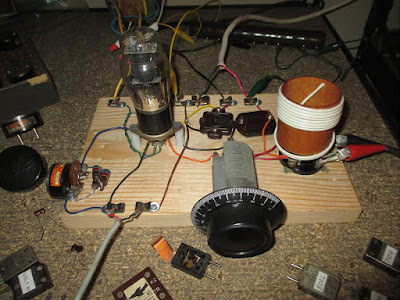 With just a couple of watts from the early '30s tube, his signal was no problem on both bands. Gary, W8PU, with his newly-built mid-30s 6L6 tri-tet oscillator, was another treat from the east when his 559 80m signal arrived here from Ohio in good form. 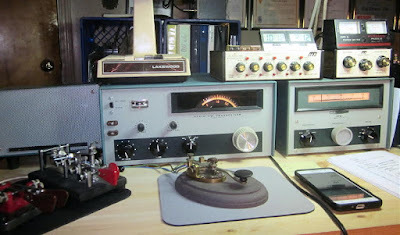 A little closer to home, WB2AWQ, Howie down in Reno, had a whopping signal all week whenever I heard him on 40m. Howie can always be counted upon for 'NV' in most vintage rig operating events, including the 1929 BK Party. 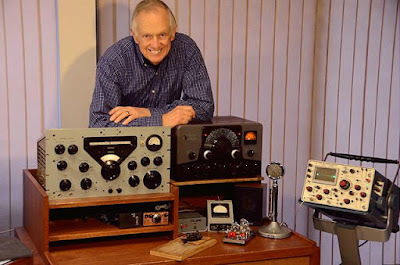 This time 'round, he was using his BC-458A, crystal-controlled at 35 watts out. 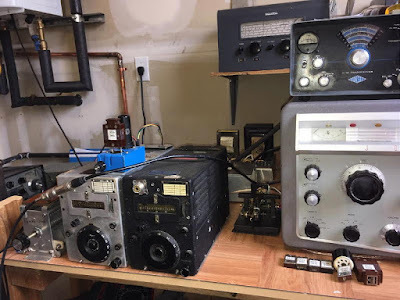 It's a good bet that hundreds of Novices got their start with a surplus Command set such as this, which often sold for just a few dollars in the 50s ... still new in the box! Even closer was new Oregonian, Dave, WB7WHG, who was still getting set up at his new location on the east side of the Cascades in Bend. Dave keyed his Knight T-60 for our NRR contacts on both 80 and 40 and was very much louder than when I used to work him at his midwest WB9WHG QTH! The T-60 is a popular choice among NRR ops and it's diminutive size is somewhat misleading as the current-hungry sweep tube used in the PA stage packs a big wallop. If you happen upon one of these under a fleamarket table, don't pass it up ... it"s a lethal NRR weapon! 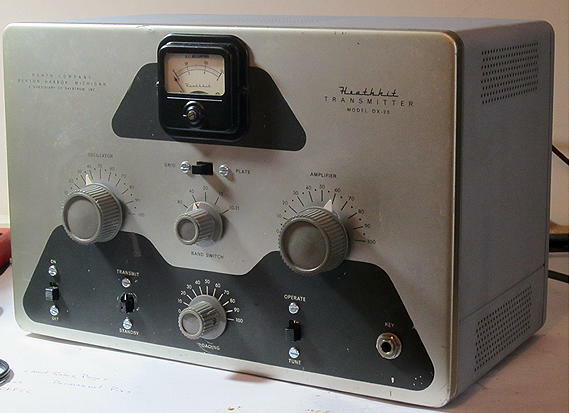 Heathkit stations were as popular in the NRR as they were in countless Novice shacks decades ago ... and they sound just as good now as they did back then. KN8RHM (N8XI), Rick, made Michigan proud with his HW-16 transceiver, while Mark, VA7MM, handed out 126 contacts from western Canada with his all Heath vintage station. 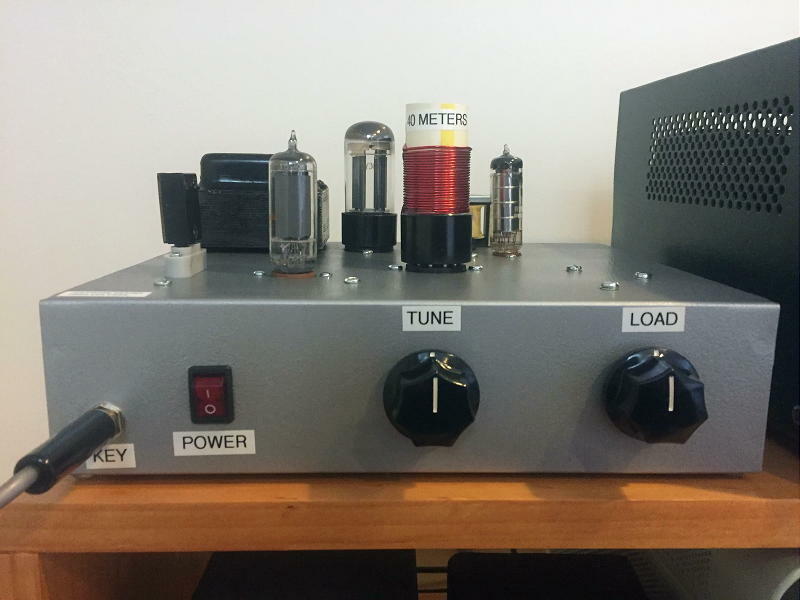 His newly added homebrew TR switching system provided hands-free break-in, saving wear and tear on the DX-60's precious function switch. Not many Viking Rangers were heard this year but the one keyed by Markus, VE7CA, sounded very 50s-like with its oscillator being crystal-controlled for the event. 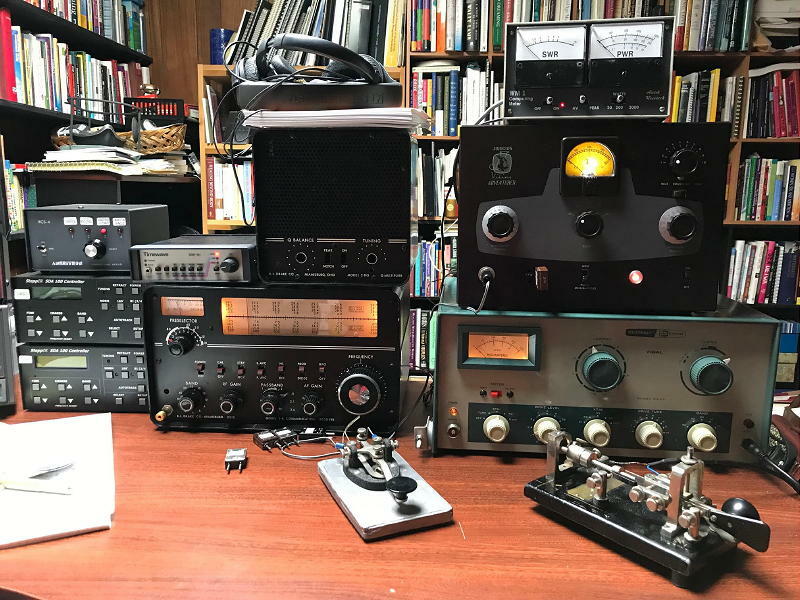 K9SB, Tim, used his Johnson Adventurer and Hallicrafters SX-101A vintage setup as well as a vintage Drake station to hand out 'IL' to many NRR ops. There seems to be no shortage of era-appropriate Novice gear out there but as the years progress, it will get harder and harder to find and probably more expensive to own. 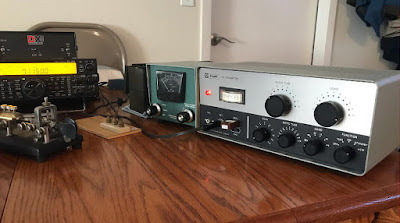 It's wonderful to see so many amateurs that understand and appreciate this older gear and are doing their best to keep it all working ... and the NRR is just one of many opportunities to let these old beauties demonstrate their capabilities. From what I can tell, NRR activity continues to increase every year and will hopefully be even bigger next year. If you were a participant, don't forget to get your log completed along with your photos and soapbox comments, all of which can be done through the NRR website here. If you enjoyed the NRR, all run by volunteers, consider making a small monetary donation to keep the event going. You can do this via the NRR site as well. If you're one of the many NRR participants that didn't want the event to end, don't forget that every Monday is the NRN (Novice Rig Night). A short 'CQ NRN' in the usual CW watering-holes, will often provide some nice rag chew time with like-minded operators. Thanks to all organizers and participants for the CW fun and for another great ride in the NRR time-machine ... see you again next year! Steve McDonald, VE7SL, is a regular contributor to AmateurRadio.com and writes from British Columbia, Canada. Contact him at [email protected]. Just super nooper & gooper !!!!! 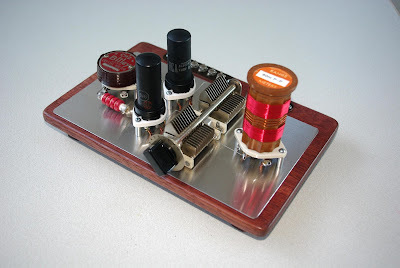 Brought back some real nostalgic memories when ham radio was played as it should be. The 6AG7s,6CL6s 6L6s , were some of the finest tubes a die hard homebrewer, used in those years–I still own some & use them–no solid state stuff can beat them for performance–put a key in the cathode & you can go on the air in no time. This is a fine novice exercise & should continue for ever, to keep old electronics alive & ticking ! BTW—The Command sets, Johnson -Viking, Collins & many others seen above were by no means only novice stuff, many senior hams had it as their main station, it was considered top of the line stuff.